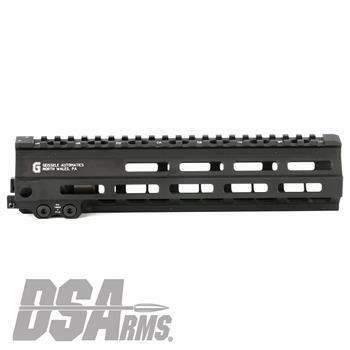 The Super Modular Rail (SMR) MK8 M-LOK is Geissele’s ultra-modular model. The SMR MK8 is one of the first rails available to utilize the Magpul M-LOK technology. These rails are designed to give the user full modularity while maintaining a strong and rigid platform. Maximum venting at the lower 45° quadrants create maximum heat dissipation and also dramatically reduces the rail's overall weight. Utilizing Magpul's M-LOK technology at the 3, 6, and 9 o'clock positions, as well as the upper 45° quadrants. The SMR MK8 is both versatile and modular, allowing the user to tailor their platform to his or her unique needs.